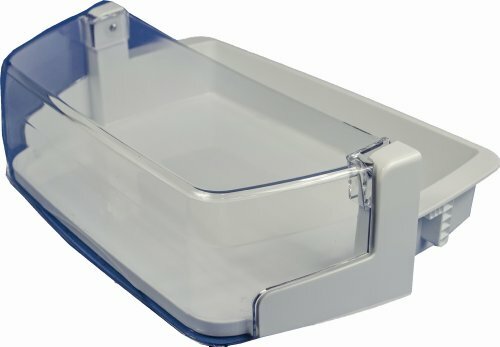 LG AAP73351301 Refrigerator Door Shelf/Bin. White with clear trim. For use with LG Electronics model LFX31925ST, 72052, 72053, 72059, LFX25991ST, LFX31925SB, LFX31925ST, LFX31925SW, LFX31935ST, LMX31985ST. Refer to your manual to ensure ordering the correct, compatible part.